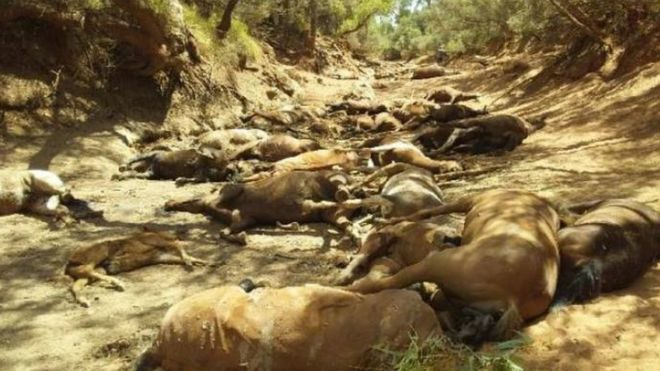 Wild horses at a dried up watering hole near Alice Springs (BBC). Temperatures reached as high as 49.5°C (121°F). This must be a very terrible way to die.